Offered for both New and Pre-Owned vehicles up to eight model years old, the “walk away” (or Closed-End) lease allows you to make a set number of monthly payments for any term ranging from 24 to 60 months. Your payment amount depends on the vehicle you choose, the length of your lease term and the applicable interest rate. At the regularly scheduled end of a Closed-End Lease (Lease Maturity) you may return the vehicle without any liability for the lease-end value. You will be responsible for any excess kilometres and excess wear and tear and other amounts due and owing under your lease. Lower Kilometrage Allowance Option: This option offers a maximum driving distance allowance of 12,000 kilometres per year. Low Kilometrage Allowance Option: This option offers a maximum driving distance allowance of 18,000 kilometres per year. Standard Kilometrage Allowance Option: This option offers a maximum driving distance allowance of 24,000 kilometres per year. High Kilometrage Allowance Option: This option enables those who know they will exceed the Standard Kilometre Allowance to purchase extra kilometres in advance at a set rate. See your Dealer for details. At the scheduled end of a High Kilometrage Lease you will be refunded for any unused kilometres  that were originally purchased at lease signing. Note: For Closed-End Leases, a refundable security deposit equivalent to approximately one monthly payment  may be required at lease signing to ensure the vehicle is returned without physical damage, excess wear and tear or excess kilometres. If at the scheduled end of the lease the vehicle has been driven in excess of the driving distance allowance agreed upon at lease signing, an excess kilometre charge is levied. Excess kilometre charges vary by vehicle and kilometrage allowance; please contact your dealer for details. Subjected to restrictions, see the terms of your lease for details. Some lessee’s may be required to provide a larger security deposit. Offered for both New and Pre-Owned vehicles up to eight model years old, the “unlimited kilometre” (or Open-End) lease  allows you to make a set number of monthly payments for any term ranging from 24 to 60 months. Your payment amount depends on the vehicle you choose, the length of your lease term and the applicable interest rate. At the end of an Open-End lease, you are responsible for the value of the vehicle. You may be required to make an additional payment to cover the difference between the actual value of the vehicle at lease end and the residual or lease-end value agreed upon at lease signing. However, if the actual value of the vehicle is more than the value on your lease, then you are entitled to the difference. Actual value refers to the net sale proceeds that Mercedes-Benz Financial Services receives upon disposition of the vehicle. This added obligation of an Open-End lease is offset by a lower monthly lease payment and the elimination of kilometrage restrictions! Available for commercial customers only. Not available in the provinces of Québec or British Columbia. Available for “walk-away” leases for 24 or 36-month lease terms, this plan lets you make all of your monthly lease payments up front in one lump sum, offering a discounted payment over a traditional monthly lease payment. We strive to make your lease-end process as efficient as possible. 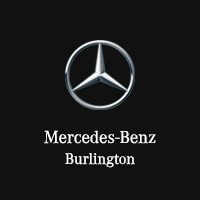 The Mercedes-Benz Financial Services Lease-End Guide provides an overview of our vehicle condition guidelines in the event that you choose to return your vehicle. Please click on the link below to begin the step-by-step walk-through of the Lease-end Guide which provides information regarding excess wear and tear, excess kilometrage charges and a vehicle condition review checklist is also included.